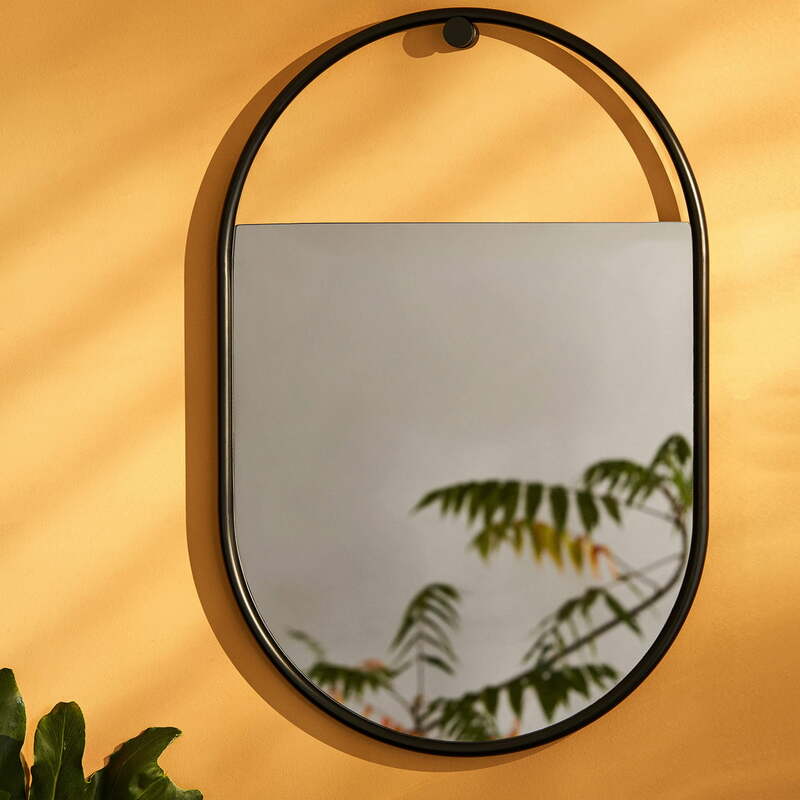 The Peek wall mirror by Northern is a design by the Finnish designer Elina Ulvio, who is known for her extravagant work experimenting with geometric shapes and special colours. 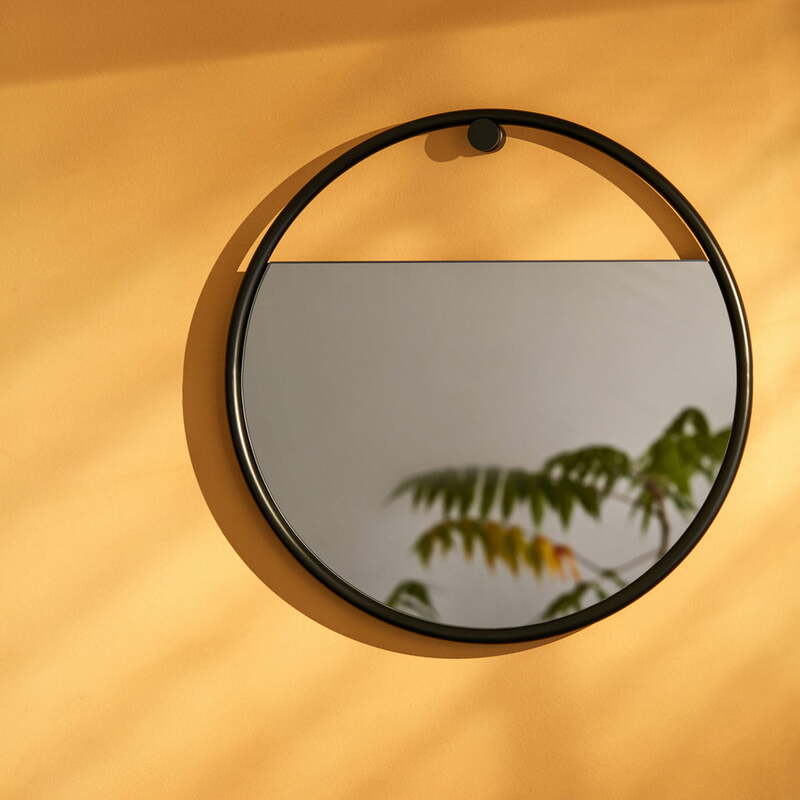 The Peek wall mirror is fitted with a striking frame. Within it, the mirror glass itself does not fill out the entire surface, but is cut straight across a third from the top, providing an exciting line. The gap created also allows the wall behind it to be seen, which creates a great contrast particularly if the wall is coloured. The mirror glass that has a certain retro charm because of its colour is a decorative highlight in any environment. 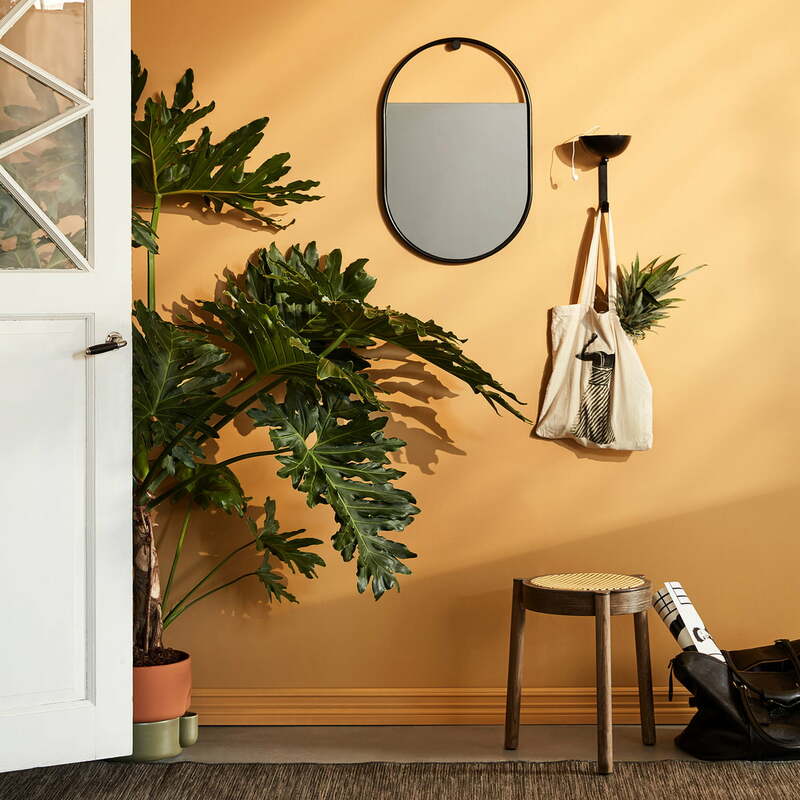 Peek is a stylish mirror that sets a new tone in the room, be it the bathroom, bedroom or in the hallway. 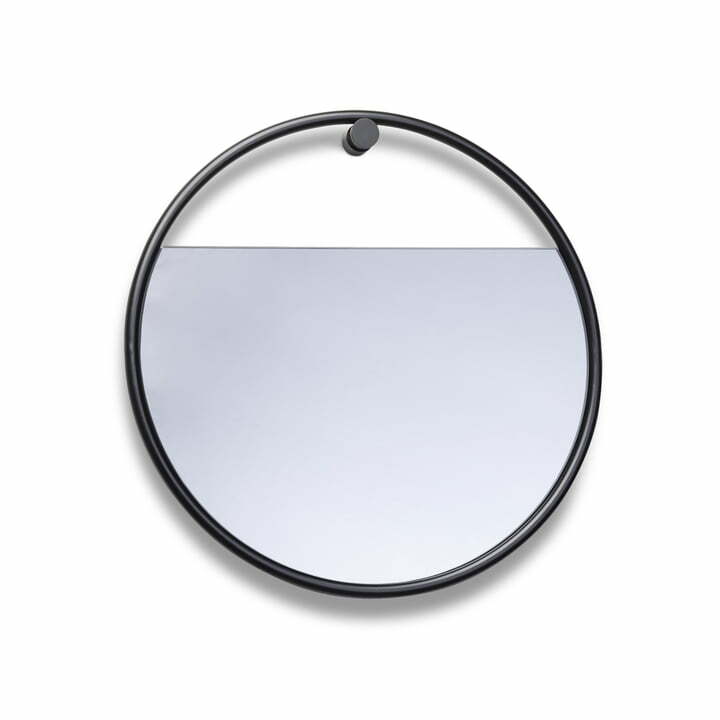 It is available as a wall mirror in a round or oval version.